Salads must be served in basins, gifts go under the tree, and the Russian Santa Claus appears with his granddaughter instead of elves. 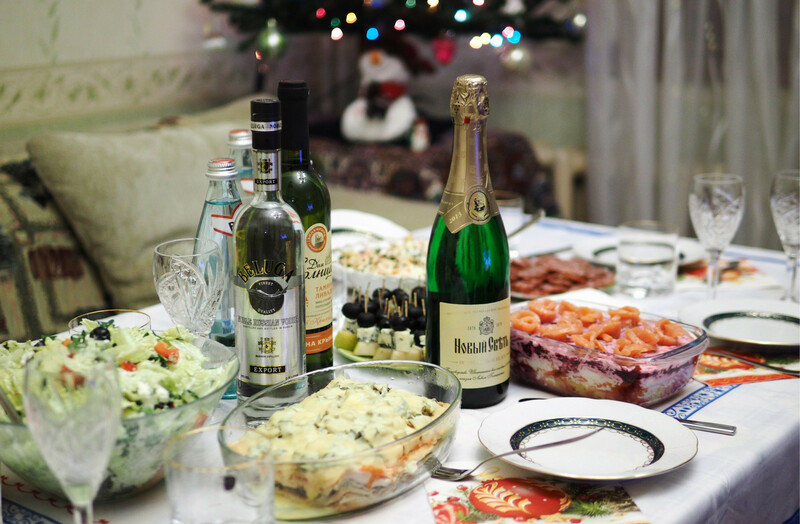 Russia Beyond has compiled an hour-by-hour guide to celebrating New Year's like a Russian. So you’ve decided to ring in the New Year as the Russians do. Keep in mind that this task is not as easy as it seems. You will not be able to get away with just drinking a lot of vodka (even though you still will not avoid this). You will need to do a series of things that are sacred to all Russians, and follow a few traditions that may be ridiculous, but are rigorously observed. 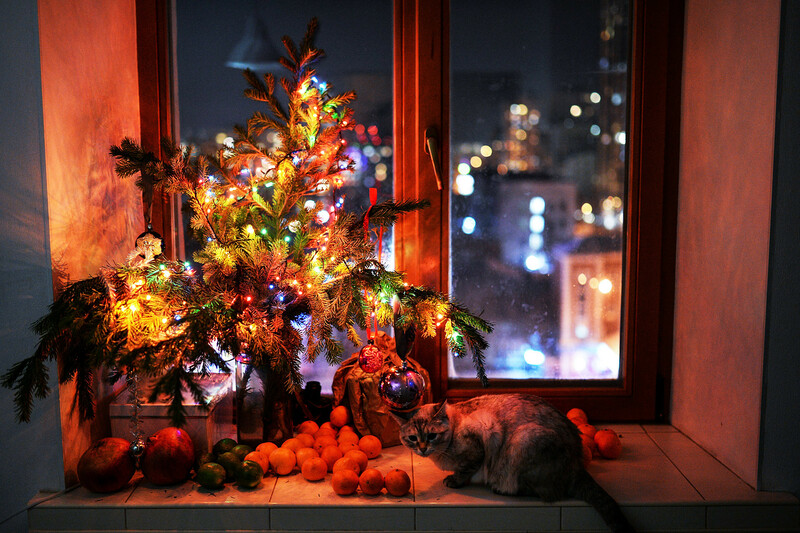 In Russia, New Year’s occurs earlier than Christmas (which is celebrated on Jan. 7), so gifts are exchanged on New Year’s. They are not put in stockings that hang from the fireplace, but rather are carefully arranged under the main holiday tree. Russians make unimaginably huge portions of salads for the New Year’s Eve dinner. Sometimes the house is not stocked with dishes that are big enough, so the salads must be served in basins. There has always been a grain of truth in this joke, so bowls used to serve salad came to be called “little basins.” The classic holiday salads are the Olivier salad (aka the Russian salad) and “dressed herring,” called “shuba” in Russian. Mandarin oranges are a necessity. 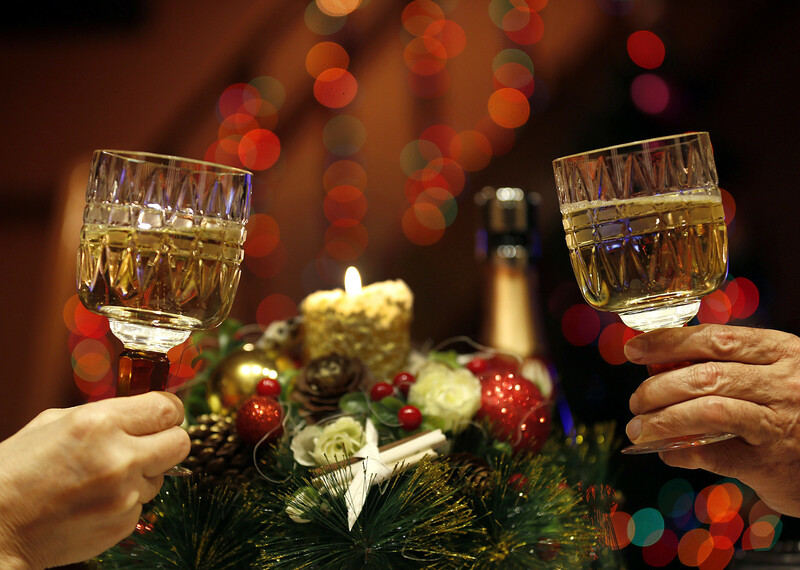 Russians strongly associate the fragrance with New Year’s celebrations. In Soviet times, the mandarins came from Abkhazia, which was part of the Soviet Union; these oranges ripened perfectly by December and became an integral item on every New Year’s table. New Year’s is probably the most family-oriented holiday in Russia. Everyone gathers around the festive table, and many people make special trips from other regions in order to celebrate with their families. No one knows what happened to the Snow Maiden's (aka Snegurochka) parents, but she is Grandfather Frost’s (aka Ded Moroz) granddaughter and she successfully replaces an entire troop of Christmas elves. In Russian families, this pair entertains young children. Usually in exchange for sweets, children had to stand on a chair and recite a short poem. You can also hire a Grandfather Frost and a Snow Maiden from an agency—actors will come to your home and act out some amusing scenes. Unfortunately (or maybe fortunately), you will not be able to watch all the holiday programs that the local TV channels spoil (or torture) Russians with. However, thanks to YouTube, you can now watch subtitled versions of the films that Russians watch year after year. One such film is The Irony of Fate, the story of an ordinary Soviet citizen named Zhenya Lukashin, who after a drinking binge at the bathhouse with friends, accidentally flies from Moscow to St. Petersburg, mistakenly breaks into a strange home that has the same address as his Moscow one, and finds the love of his life. Watch The Irony of Fate with English subtitles here: Episode 1 and episode 2. The president’s prerecorded speech, which gives a roundup of the year and wishes Russians a happy holiday, used to be secret until the moment of broadcast. Now, thanks to YouTube and Russia’s distant regions, where the New Year starts seven hours earlier than in Moscow, a lot of Russians watch this speech online during the day. Nevertheless, they persist in turning on the television 10 minutes before midnight. You can easily find the president’s latest New Year’s speech. The bells ring for one minute, during which you need to open the bottle, pour the champagne, make a wish and clink glasses with your loved ones precisely when the clock strikes 12. Russians spend years training to master this feat — you should practice so as to achieve the best effect. In your country, you may be able to reach someone, but this is not the case in the first minutes of the New Year in Russia — every year, operators construct new equipment to tolerate the unthinkable burden on the cellular network, but each time the loads are bigger than projected. While in America the cannonade rumbles on July 4, in Russia the “military actions” unfold on New Year’s. The city authorities try to regulate this dangerous amusement by, for example, designating special areas for setting off fireworks, but no one can bar a Russian from lighting a couple of “Roman candles” in his own courtyard. Moscow, on Jan. 1, at 9:00 a.m.
Want to understand Russians? "Watch the film 'Irony of Fate'"